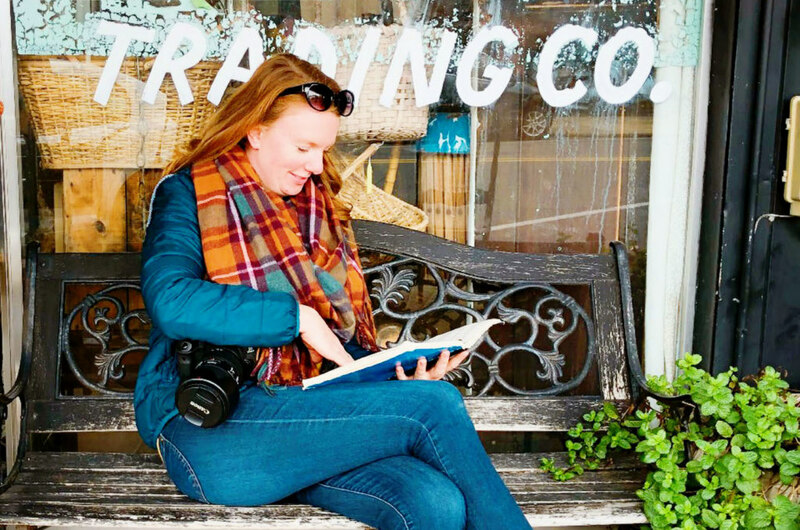 Keryn of Walking on Travels is more than just a family travel expert — she’s also the kind of traveler that’s not afraid to get out of her comfort zone and explore under-the-radar gems. Northern Louisiana is one of those gems, and we knew Keryn would love the opportunity to explore it. Read on to learn why she says it needs to be on your radar. Hi Keryn! Thanks so much for joining us again today. What have you been up to since we last spoke to you about your trip to Maine? Oh my goodness, it’s been a whirlwind of amazing adventures since we got back from Maine. I ran off to the Canadian Rockies with my best friend for a much-needed moms’ getaway on the Rocky Mountaineer, took the boys to the Kennedy Space Center outside of Kissimmee, Florida, and relaxed at the cabin on the lake for our annual week in New Hampshire with my family (parents, sister’s family and all). The boys started school in September, which is when I normally start up my solo travels again and research all of the great mom getaways, or where families should visit in the new year. You recently traveled to Northern Louisiana for a girlfriend getaway. Can you give us an idea of your itinerary and which cities/towns you visited? 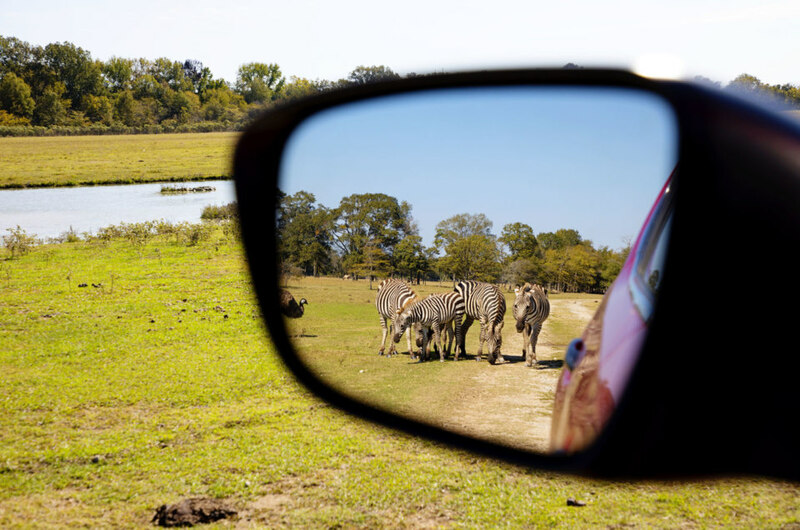 We were based in northeast Louisiana and explored Monroe, West Monroe, Ruston and Epps. Our mission was to eat, shop and explore all of the things to do in those four towns. I think we did a pretty good job. How did Louisiana surprise you? I’m a big city girl, so small towns actually intimidate me. I expected lots of chain restaurants and mediocre attractions. 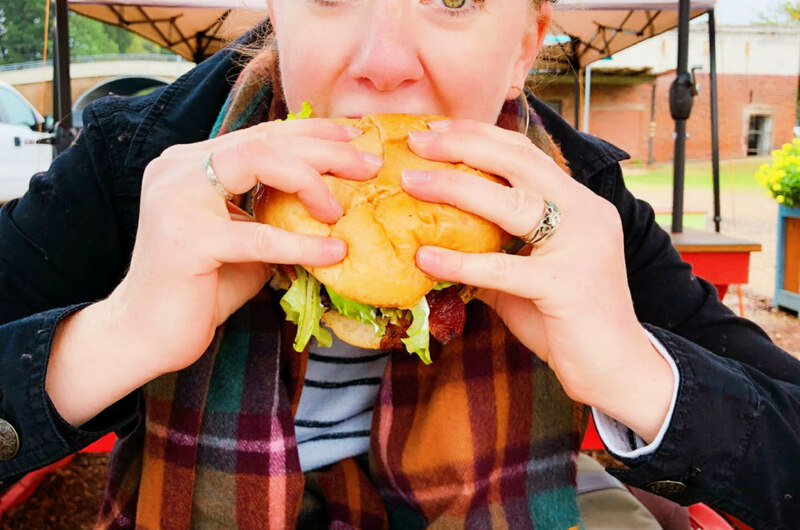 What we found was a food culture that rivals New Orleans, beautiful boutiques with well-curated collections of clothing (I may have put a dent in my credit card limit) and more things to do than we could fit into a weekend. You made your base in Monroe, which is a truly unique city. What were your first impressions? Did you get to check out any special events while you were in town? Monroe is deceiving. It’s actually two separate towns- Monroe and West Monroe- and the locals will make sure you know the distinction. There are some bitter high school sports rivalries going on down there. West Monroe is where the cute shops are, while Monroe is where more of the independently owned restaurants can be found. Walking around both downtowns is how you really get a feel for the place. There was a food truck festival happening the weekend we were in town, and I was sad to miss the Blues and BBQ event happening the following weekend. Whenever you are visit, make sure you head to River Market where many of the events take place. As a photographer, what were some of your favorite Instagram-worthy moments from your trip that made you say, “Only Louisiana”? 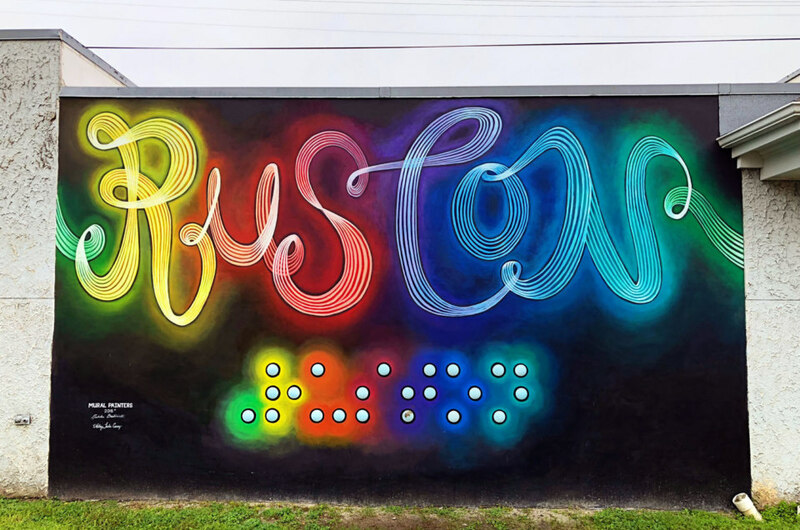 Like many cities, Monroe and West Monroe, and even Ruston, have a mural arts scene that is growing. They are proud of their towns and they want you to share in that pride. Monroe’s Art Alley is where you will find the most unique murals and also the art galleries and artist studios. A bimonthly First Thursday, dubbed CRAWL, happens throughout the year starting in February, where artists open their doors to the public. It’s the best place to meet the locals, enjoy a cold beer and hear what is happening around town. Once you have had your fill of murals, wander the neighborhoods. Monroe has so many different architectural styles and rustic backdrops that I’m surprised style and fashion Instagrammers aren’t swarming the place. 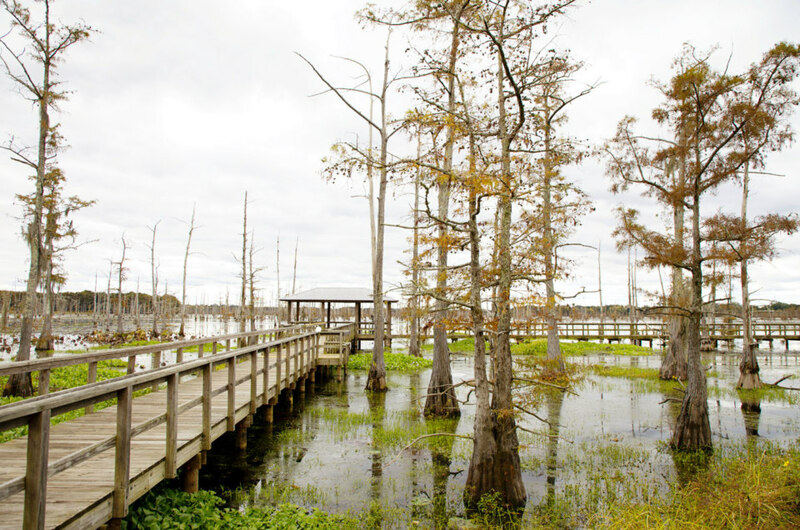 Ruston and the Monroe area are considered the “Sportsman’s Paradise” of Louisiana. What sort of outdoor adventures did you dive into? Horses and hiking were our main staples for exercise during our girls’ getaway. Black Bayou Lake National Wildlife Refuge Visitor Center is home to cypress swamps and a pier that extends over Black Bayou Lake. We were a bit late in the season to go kayaking on the lake but have flagged it for our next trip down. I always love horseback riding whenever I travel. 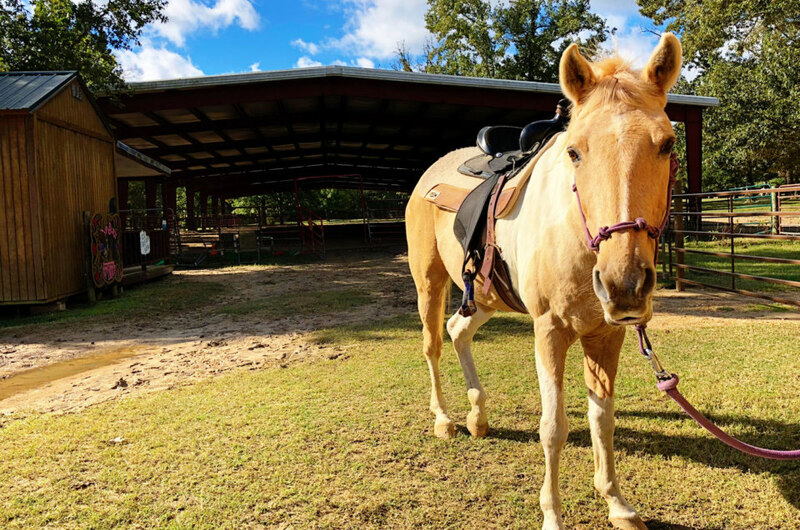 My friend and I were able to spend a crisp autumn morning riding with Dave, who owns Collins Natural Horsemanship, wandering his 45-acres property. Dave and his wife provide lessons for children in the community, board horses, but what they are really known for are the birthday parties they throw, as well as Halloween and Christmas events. If I am ever back with my kids during the holidays, you better believe we will be booking our spot at their holiday party. This is one Santa event I would never miss. It’s not a true Louisiana experience without great Cajun food. What were your favorite restaurants and meals from your long weekend? We loved Restaurant Cotton and Parish Restaurant in Monroe for your more traditional Louisiana food. Both chefs had their own spin on the classic dishes. Not being familiar with the local cuisine, beyond gumbo, we certainly got an education in other traditional dishes, like Redfish on the half shell (A Gulf fish with the skin left on the bottom) and boudin (it’s slightly different everywhere you go in the state). Best of all, I finally found some grits I like thanks to Butter A Louisiana Bakery. This gluten-free bakery makes a grits bowl topped with scrambled eggs, sausage and cheese that is perfect for a rainy morning. My friend, who has to eat gluten-free due to health issues, swore this was one of the best gluten-free bakeries she has been to. She packed up a peanut butter and chocolate pop tart and inhaled an éclair over breakfast. She was that excited to finally get to eat some sweet treats. What were your favorite girls’ trip finds from the weekend? Antique Alley in West Monroe was our favorite spot to hang out in the city. 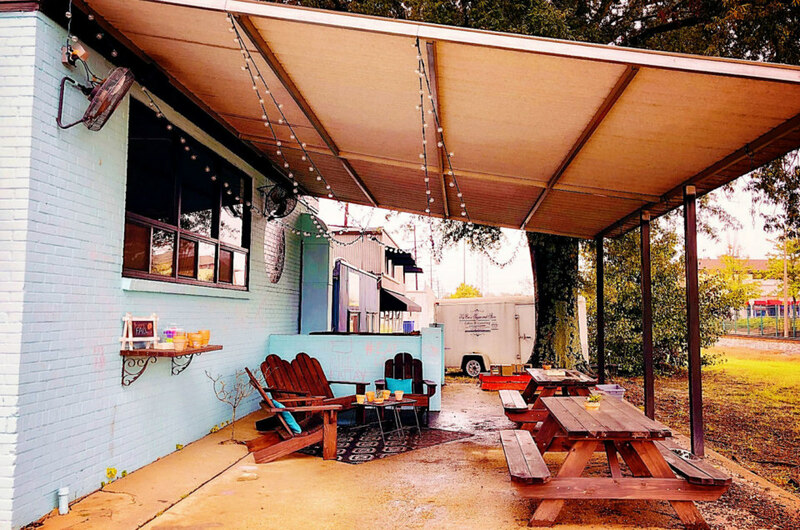 Miss Kay’s Sweets & Eats provided everything we didn’t know we needed — dirty chai lattes to keep us energized, rustic yet cozy seating to put up our feet and chicken salad sandwiches and frosted sugar cookies to refuel our bodies after a morning of shopping. Antique Alley is actually a bit deceptive too. Less than half of the stores carry antiques. Although, historically antiques were sold here, more clothing boutiques and home furnishing stores have moved in that sell new and modern items for a discerning clientele. 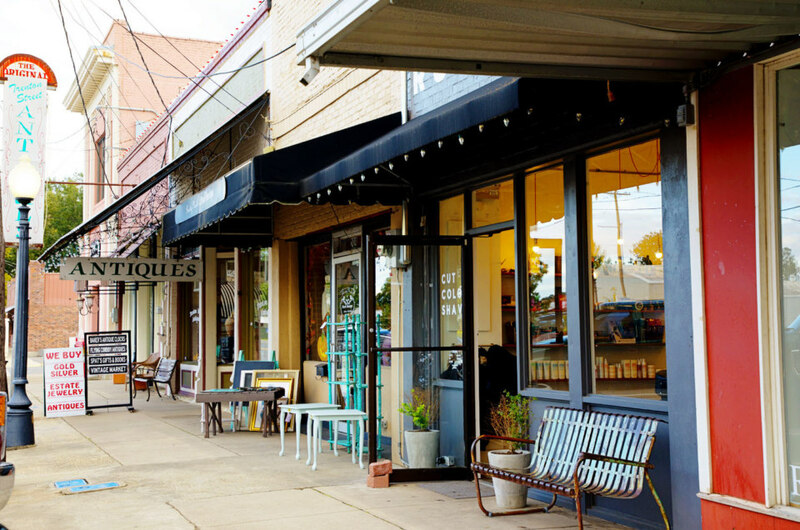 While prices in Ruston could be a bit high, West Monroe prices were a bit more moderate and pocket book friendly for the average shopper, without sacrificing style and good taste. If someone who has never traveled to Northern Louisiana only has 24 hours to experience it all, what would be your top recommendations? Anyone heading to northeast Louisiana needs to go to the Biedenharn Museum and Gardens in Monroe’s Garden District. 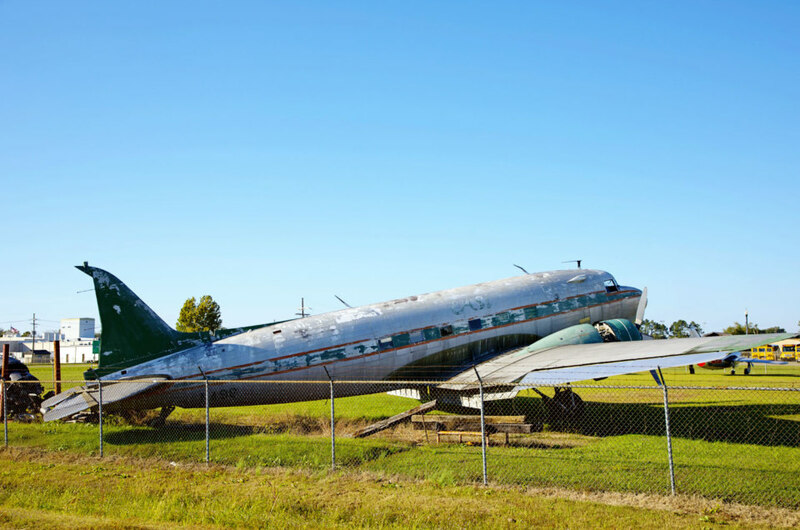 It will give you the fastest history lesson and an instant education into Coca-Cola, the first investor in Delta Airlines and a look at the fabulous life of Monroe’s elite class in the mid-20th century. 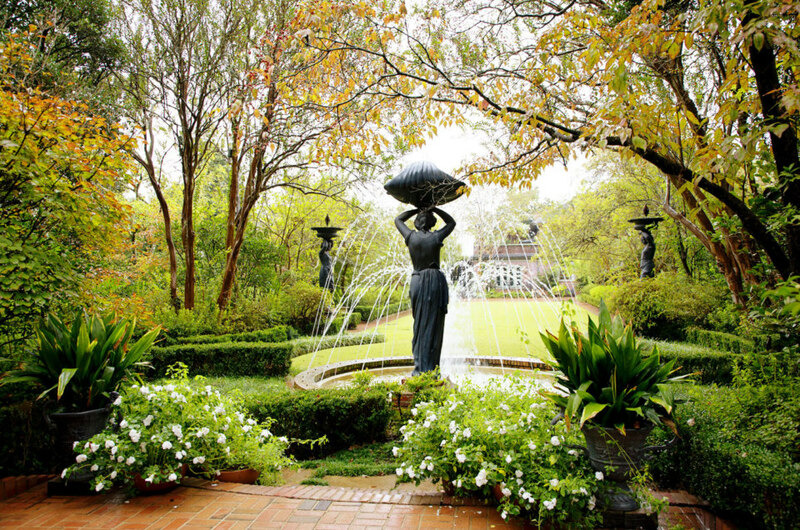 The Biedenharn home also has a beautiful garden that will inspire you throughout the year. You should also grab a honey latte at RoeLa Roaster and ask what special beans they have roasted lately. They are doing some very interesting and experimental things over there. You never know what you will find. If you have the time, drive up to Epps to see Poverty Point, one of 23 UNESCO World Heritage sites in the U.S.A. This 3,000+ year old Native American community still puzzles scientists today, just as Stonehenge is still inspiring mystery and stories, and yet, very few people know about it. Once again, I was reminded that every destination has a story to tell and every town has something unique that is worth seeing and tasting. I learned the fine art of “visiting” in the true southern style. While I’m used to having a three-minute conversation before someone wants to be rid of me, in Louisiana, a simple question turned into a long chat that would roll into settling into cozy chairs to discuss the history of the town, how the area has changed over time, what chefs have come and gone, why so and so’s shop is now down the street, and how one local changed the tide of WWII because he was a stubborn old goat who knew his way was better than the “official” Army-Air Corps way (visit the Chennault Aviation and Military Museum to hear this tale). These stories fed me in a way I didn’t realize I even needed to be filled. I slowed down. I listened. I asked questions. Best of all, I learned. You can have a girlfriend getaway to remember in Louisiana this year. Click here for more information about how Louisiana can feed your soul, then Walking On Travel’s website to make it happen.